Kwara INEC urges residents to visit local government for voters cards registration – Royal Times of Nigeria. As the Independent National Electoral Commission (INEC) commenced Continuous Voter Registration (CVR) across the country, the Kwara state chapter of INEC has called on residents to visit all INEC Local Government offices on working days of the week fto register. The registration commences from 9:00 am and ends 3:00 p.m. The commission says it is also working on modalities that would assist in the distribution of uncollected 7.8 million Permanent Voter Cards (PVCs) during the ongoing voter registration. 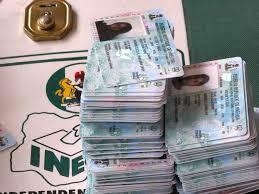 The kwara state Head of voter education and publicity, Jacob Ayanda, while speaking with Royal FM correspondent said the permanent voters’ cards would be made available within seven to nine months. after the display of registered person’s names at every three months interval. He also stated that the names of the registered persons will be displayed at every three months interval. Ayanda, who advised residents of the state not to wait till the last minute before going for registration, also urged those who had registered before but could not obtain their PVCs to lodge their complaint and get a go ahead before going for a new registration. 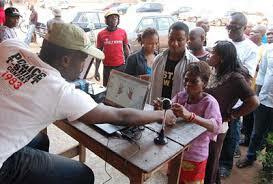 While assuring the public of INEC’s commitment to carry out a hitch-free continuous Voter Registration in the state, Ayanda called on those who have just turned eighteen years and above to also visit their registration areas and get registered.